Class 1 Flexible Chimney Liner. 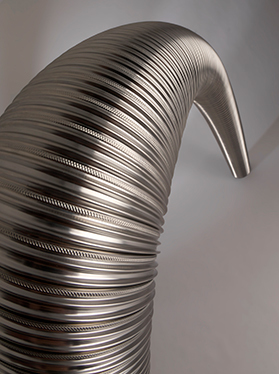 Twin Wall Multifuel Flexible Liner in 904L grade stainless steel. Midtherm Flue Systems Limited offer an extended 35 year warranty for Midflex 904L for registered systems installed and maintained in accordance with the guidelines in our extended warranty scheme. Midtherm Midflex 904L is a twin wall flexible liner made from 904L grade stainless steel (a high performance austenitic stainless steel) with high levels of chrome, nickel, molybdenum and copper which provide it with the exceptional corrosive resistance. The Midflex 904L is extremely resistant to pitting and crevice corrosion and has very good resistance to stress corrosion cracking.